Did you know that not a single volunteer with HOBY Oregon gets paid for their efforts? I mean it. Everyone you see pictured above (and some you don’t see) with a smile, goofy face, or odd expression is a volunteer. It’s rather remarkable. The individuals who work hours each week planning the leadership seminar, balancing budgets and shuffling paperwork don’t receive any financial compensation for their amazing work. 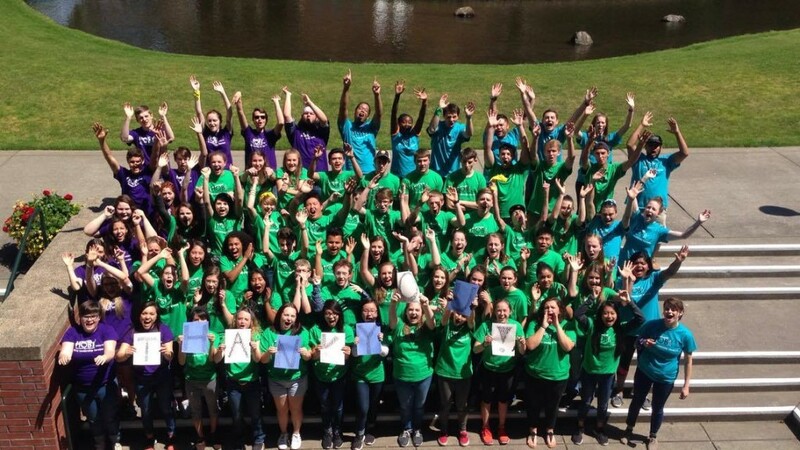 Yet they, and dozens of additional volunteers , do so because of their belief in the HOBY Program – it’s not everyday you witness the power of our young leaders as they discover their potential to better the world.